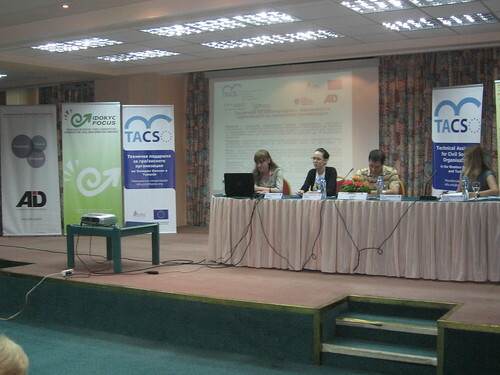 The conference “Quality in the Civil Society Organisations’ Operation” was organised by TACSO in cooperation with the Citizens’ Association MOST, Foundation for Local Development and Democracy – FOCUS – Veles, Local Community Development Foundation – Stip and Association for Democratic Initiatives – Gostivar. The objective of the conference was to transfer the regional experiences from the implementation of Quality Assurance Systems in the operation of Civil Society Organisations (CSOs), to discuss the local context and its effects on the quality of organisations’ operation and to open a debate for the needs and possible approaches for the improvement of the standards according to which CSOs operate and deliver services. 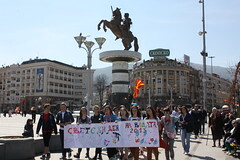 Conference was held in Ohrid, on 14-15 June. The guests from Croatia, Slovenia and Bosnia and Herzegovina have shared their experiences, while the national CSO representatives presented their local experiences and made an overview of the legal framework and donor requirements and their effects on the quality of organisations’ operation. One hundred and one CSO representatives participated in the conference. Greener has representative there, too.